This is the bonus card we will be making at the What to Washi class on August 11 from 2-5pm. I saw this idea online somewhere but I added my own twist to it! I just love the triple layered flower with the largest rhinestone in the center. Don't you love the butterfly in the corner? Hello Friend!! I love this project! I'm new to washi tape and this project looks sooooo fun!! Great blog and I'm a new follower!" Raquelle Clifton - please contact me at pam718steckman@gmail.com so I can get your mailing address to send your prize! 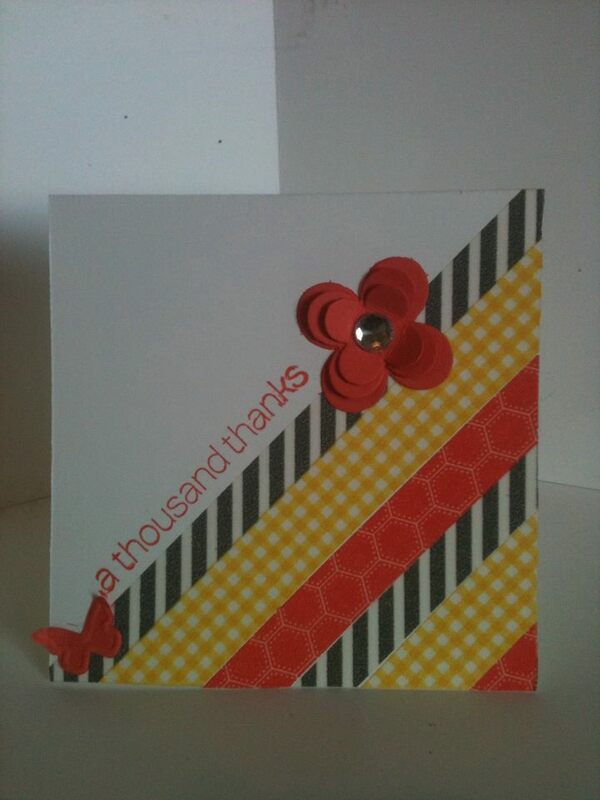 Come back tomorrow for a card using the July Paper Pumpkin supplies!